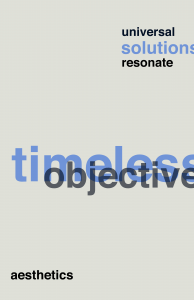 Text: Universal solutions resonate timeless objective aesthetics. 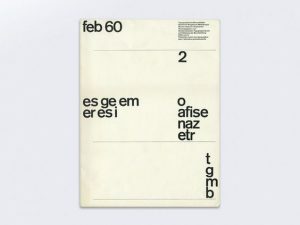 This poster intends to achieve clarity and order using the gridded placement of Helvetica text, minimal color, and a balance between positive and negative space. It is inspired by Yves Zimmermann’s cover for Typographische Monatsblätter (TM), No. 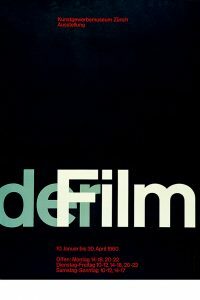 2, February, 1960 and Josef Müller-Brockmann’s poster Der Film also from 1960. “Chapter 42; The Swiss Grid System — and the Dutch Total Grid.” A History of Graphic Design, guity-novin.blogspot.ca/2011/07/chapter-42-swiss-gradSelect Filese-style-and-dutch.html. “Swiss Style: The Principles, the Typefaces & the Designers.” Print Magazine, 14 Feb. 2017, www.printmag.com/typography/swiss-style-principles-typefaces-designers/. “Swiss Design: The Guiding Principles That Influence Flat Design.” Vanseo Design, 22 July 2013, vanseodesign.com/web-design/swiss-design/. Bigman, Alex. “What exactly is Swiss Design, anyway?” 99designs, 99designs, 22 Jan. 2018, 99designs.ca/blog/creative-inspiration/swiss-design/. Kenna, Hilary. “Emil Ruder: A Future for Design Principles in Screen Typography.” Design Issues, vol. 27, no. 1, 2011, pp. 35–54. JSTOR, JSTOR, www.jstor.org/stable/40983242. Staber, Margit. “Swiss Design Today.” Design Quarterly, no. 60, 1964, pp. 1–40. JSTOR, JSTOR, www.jstor.org/stable/4047306.